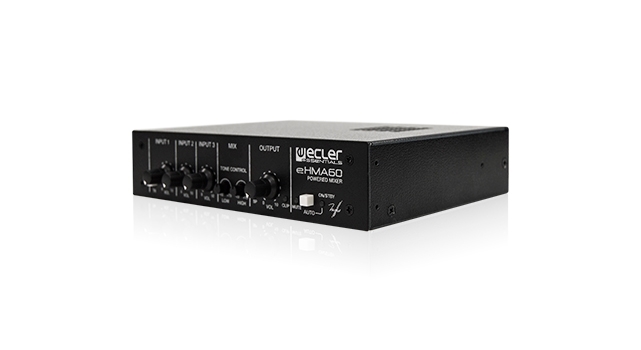 Ecler ESSENTIALS eHMA60 is a powered audio mixer including 1 MIC input and two MIC/LINE ST inputs. It features a 60W powered output that supports both low (4 ?) and high impedance (70/100V) loudspeaker lines. 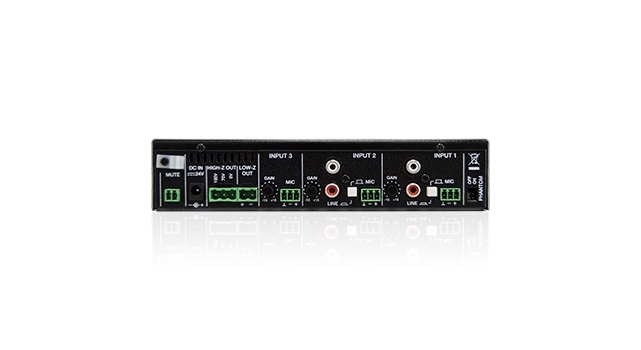 It also includes an audio priority system, phantom power, 2 band tone control, auto stand-by mode, MUTE port and universal power supply unit (24 VDC IN).Dimensions 200x44x150 mm. Weight 1.9kg Compatible with the 1UHRMKIT Rack Mount Kit.